Researchers in Russia have come together to better understand the heterogeneous nature of a polar organic liquid mixed with water. They used laser light as an instrument in two ways - phase microscopy and dynamic light scattering, which allowed them to show the presence of stable nanodroplets of tetrahydrofuran (THF) in the bulk of aqueous electrolyte solutions and to formulate a new theory that illustrates the spontaneous generation of heterogeneous nanoparticles in aqueous solutions of polar organic solutes in terms of nanodroplet development due to "twinkling" hydrogen bonds. So far it was assumed that heterogeneous particles in binary mixtures of polar organic compounds could either be giant stable molecular complexes or gas nanobubbles, formed by the molecules of the solvent or solute. 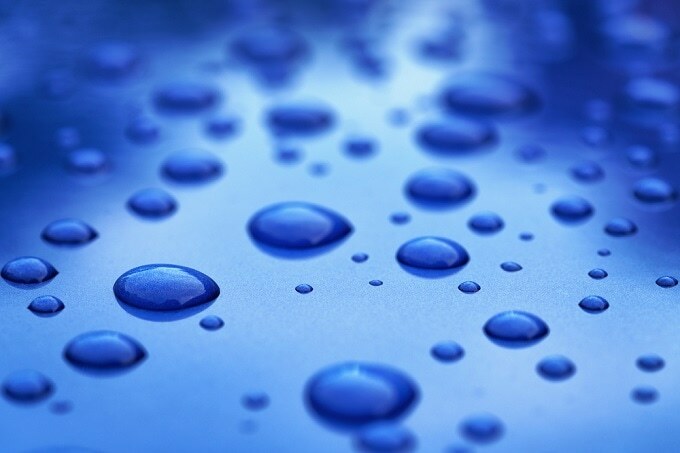 Recently, a research team comprising of scientists from four Moscow institutions used THF, which has immeasurable solubility in water and which, in aqueous solutions of low THF concentrations, facilitates observation of abnormally high scattering of light because of the spontaneous formation of certain heterogeneous centers. This was explained in a paper published in the Journal of Chemical Physics, from AIP Publishing. Integrating dynamic light scattering with an innovative experimental method known as laser phase microscopy that can calculate the refractive index of nanometer-scale objects in liquids as well as their sizes, helped them to establish that the nanodroplets being observed in aqueous mixtures of THF at low concentrations essentially contain pure THF. "We began by repeating previous laser light scattering experiments using dynamic light scattering, which actually confirmed the abnormally high level of scattering in this concentration range; demonstrating that the scattering centers are nanometer-scale particles. Since the two pure liquids are blended in a fixed ratio, these particles must contain THF and water in a specific ratio. The issue, however, is that the light scattering experiments cannot be used to establish the percentage of these components in the scattering particles. We managed to solve this problem by using a unique phase microscope that we developed in collaboration with other scientists from Russia; one that can measure not only the size of the nanoparticles in a liquid, but also determine their refractive index. We found that the refractive index of the scattering objects in THF-water mixtures practically coincides with the refractive index of pure THF though, in accordance with the reference data, such THF nanodroplets just cannot exist in the solution of such concentration. However, neither the experiment nor the development of the new microscope was the major challenge to the researchers, instead it was the formulation of a theory that incorporated and clarified their results. Intuition hints that the spontaneous development of pure THF droplets in dilute aqueous solutions should be in some way controlled by the parameters of the interaction of THF molecules and water via hydrogen bonding. The THF molecule can either form a hydrogen bond with the neighboring water molecule, or not. If a large quantity of THF molecules that is localized in a nanometer-scaled area of the liquid solution concurrently break the hydrogen bonds with the neighboring water molecules, a nanodroplet of pure THF is produced in this area. This was observed in this experiment. The team is keen on exploring the subsequent steps in this research. The kinetics of nanodroplet nucleation is not yet within the scope of their projected model. They are planning to undertake similar experiments with aqueous solutions of organic liquids from the furan group which has diverse dipole moments and polarizability, and with solutions of water isotopes (D20, H20 and deuterium depleted water) that have varied energies of intermolecular hydrogen bond and to investigate the role of dissolved gas.